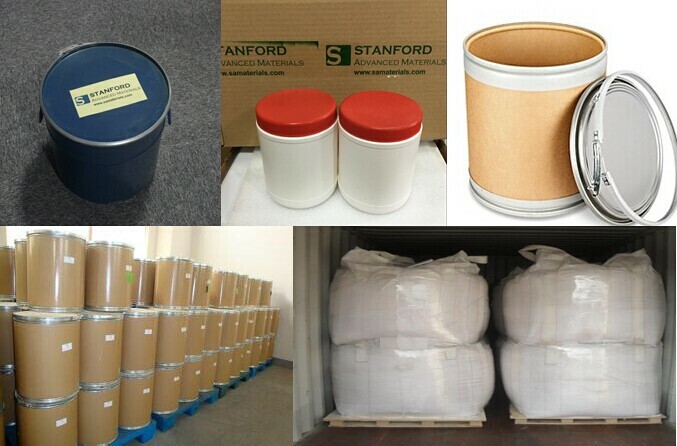 Cerium Ammonium Nitrate (CAN), is the important material for making Chrome etchant which is a very important micro electronic circuit corroding materials for LCD; CAN is also applied in specialty glass and catalyst. In steels, Cerium degasifies and can help reduce Sulfides and Oxides, and it is a precipitation hardening agent in stainless steel. Cerium alloys are used in permanent magnets, and in Tungsten electrodes for gas Tungsten arc welding. It is also used in carbon-arc lighting, especially in the motion picture industry. Package: 1) 25kg net weight for each bag, inner lined with double layers plastic bags, outer with drum (plastic/cardboard/iron), woven bag or kraft bag; 2) 1000kg net weight on a plastic or wooden pallet. Loading Port: main port in China, such as Shanghai, Qingdao, Ningbo, Tianjin, Huangpu etc. Hong Kong, Los Angeles Port in USA. 1) For the tiny quantity (less than 50kgs),via express (UPS, FedEx, or DHL). 2) For the small amount (from 50kgs to 1000kgs), by air or by sea. 3) For the normal amount (more than 1000kgs), by sea with FCL and LCL are both acceptable, or as your request. 1) T/T or Wire Transfer is preferred. Credit Card, Cheque, L/C, D/P, and Paypal are also available. 2) FOB, CIF or CFR is preferred. CPT, CIP, DDP, DDU are available.